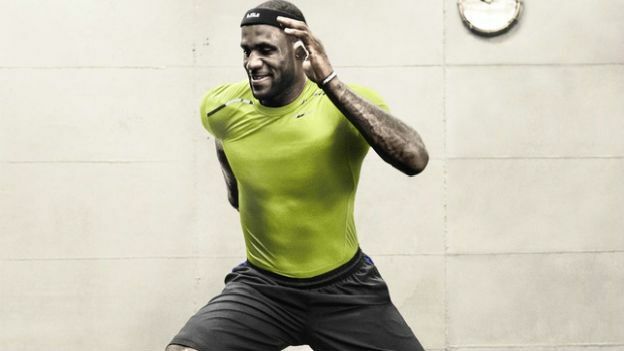 Nike's newest base layer has been launched (and lovingly sported by Miami Heat player LeBron James) just in time for the weather to change and allow us outside at last. The awesomely-named *deep breath* Nike Pro Combat Hypercool Compression Speed Top is supposedly the company's most advanced base layer so far and is 25% lighter and 50% more breathable than last year's model. Crafted from lightweight "Dri-FIT Max" fabric, the contoured top reduces chafing and features perfotated pods for cooling during exercise. So now you can't skip practice by blaming it on excessive chafage. “By transporting moisture 10 times faster than our previous design while keeping athletes cool and ventilated, we're able to provide a competitive advantage,” said Janett Nichol, VP/creative director of men's athletic training at Nike. The Pro Combat layer is available now and will set you back £50.